In this weekend’s film, Young Clara needs a magical, one-of-a-kind key to unlock a box that contains a priceless gift. A golden thread leads her to the coveted key, but it soon disappears into a strange and mysterious parallel world. In that world, she meets a soldier named Phillip, a group of mice and the regents who preside over three realms. Clara and Phillip must now enter a fourth realm to retrieve the key and restore harmony to the unstable land. The Cozy Castle Cinema in downtown Saguache. Showtimes are Friday at 7 p.m., Saturday at 4 p.m. & 7 p.m.; and Sunday at 4 p.m. Ticket prices are $7 with children 3 and under free. 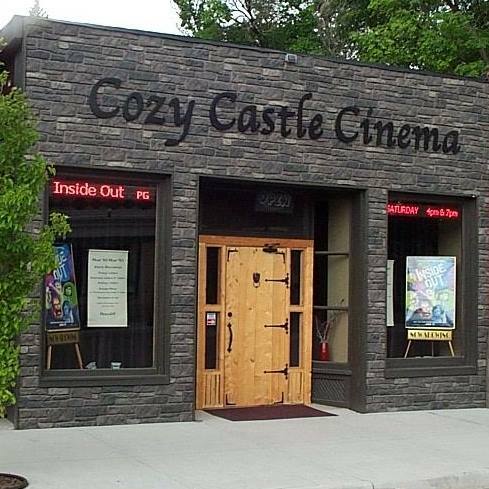 The Cozy Castle Cinema is located at 403 4th St, in downtown Saguache. 719-221-4159. What a great way to kick off the holiday party season! The Kids Halloween Costume Party is being held in Saguache Today, Saturday, Oct. 27. Gather up those kiddos in costumes and head over to the Saguache Public Library from 4:30 – 6 p.m. This is a family-friendly event and snacks and prizes will be provided. The Saguache library hosts their annual Halloween party tonight from 4:30 – 6 p.m. Photo: Photo: Lynn Nowiskee/Saguache Today. Then don’t forget next Wednesday, Oct. 31 there will be Halloween Festivities sponsored by the Saguache Volunteer Fire Department and Mountain Valley Athletics and Activity Booster Club. The fun begins at 4:30 on Halloween with a Hayrack Ride, with the doors to the firehouse opening at 5 p.m. for a chili dinner and the popular Trunk of Treat out front. The Costume Contest will be at 6:30 p.m. and determined by age. The fire house will also have Chimfex sticks for sale for $12. If you haven’t quite put your costume together yet, then head to downtown Saguache to the Blue Earth Mercantile and Thrift Store. It’s the perfect place to find all the things you need to get decked to for some spooky fun. The Annual Trunk or Treat at the Fire House will be on Halloween! Photo: Lynn Nowiskee/Saguache Today.